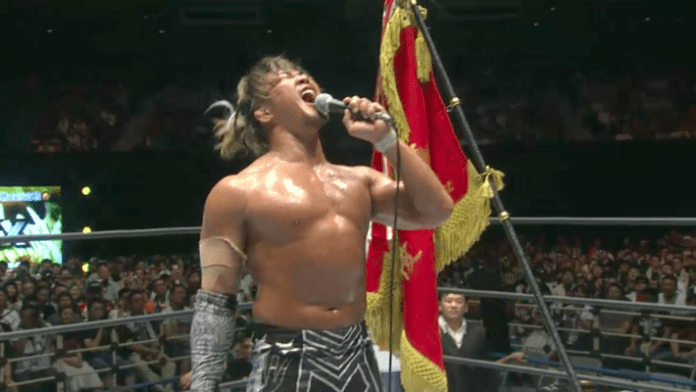 Hiroshi Tanahashi is now a 3x G1 tournament winner. He defeated Kota Ibushi today in the Nippon Budokan in Tokyo, Japan in the finals of G1 Climax 28. With the victory, Tanahashi earns the right to challenge the champion at WrestleKingdom 13. The G1 winner has had to defend that right before moving onto the Tokyo Dome in recent years, however. As Jay White was the only person to defeat Tanahashi in the tournament, he’s a likely candidate for Tanahashi to defend the G1 briefcase against. The win moves Tanahashi into a tie with Hiroyoshi Tenzan for the 3rd most tournament victories in the G1 lineage. Tenzan and Tanahashi are tied for 2nd most in the modern G1 era beginning in 1991. Up until they were surpassed by Kazuchika Okada, Tanahashi’s IWGP Heavyweight Championship statistics were the greatest of all-time. He won the title for the first time over 12 years ago. He defeated Giant Bernard (Matt Bloom) in the finals of a tournament to crown a new champion.